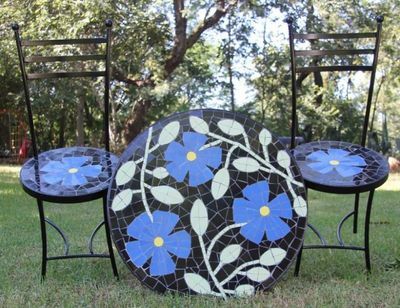 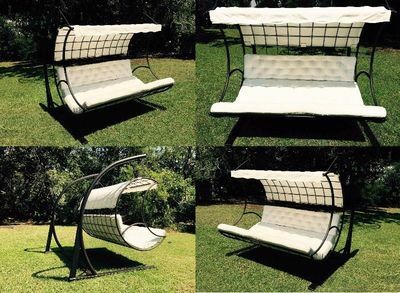 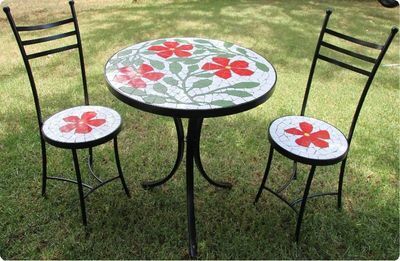 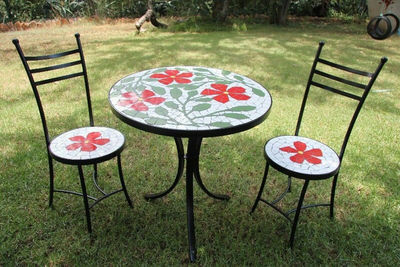 Our Mosaic Furniture is robust, weatherproof, long lasting, durable, and affordable. 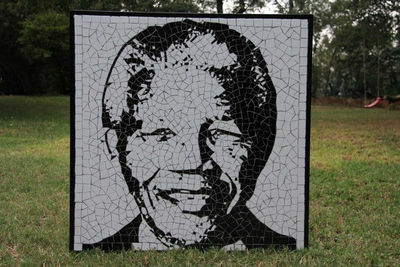 Just Mosaic is based outside Hartbeespoort. 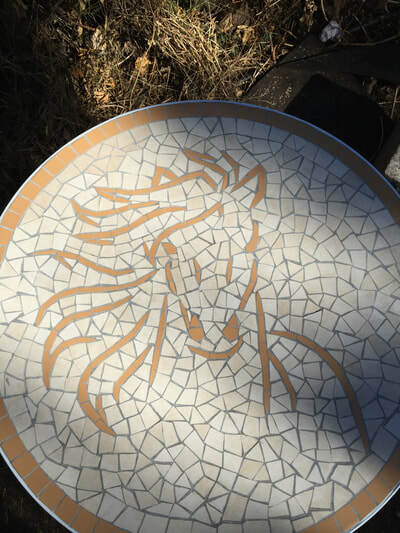 Our mosaic furniture business has been established for over 20 years, and we offer a 5 year guarantee (t &c's apply) on all our mosaic furniture products. 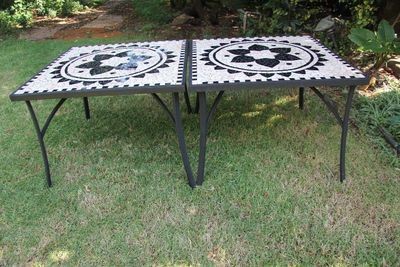 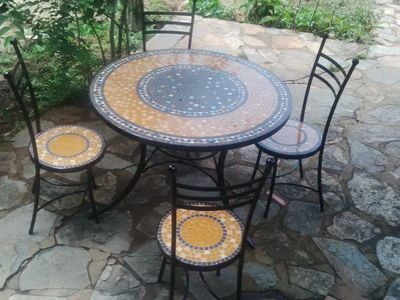 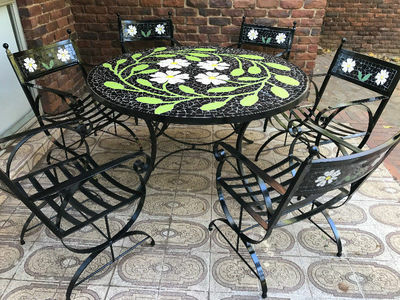 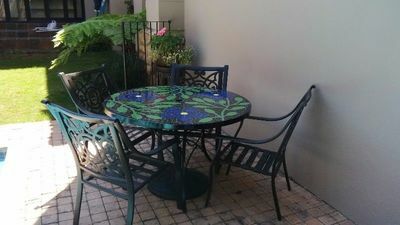 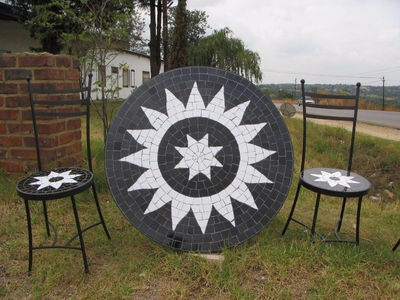 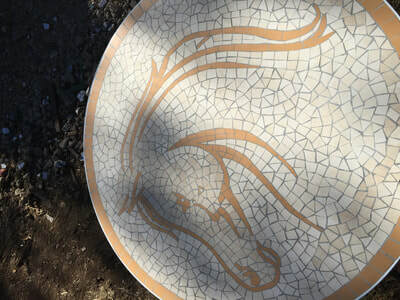 Just Mosaic manufacture fine mosaic furniture for all regions of Gauteng, including Johannesburg, Rosebank, Sandton, Bryanston, Houghton, Fourways, Kyalami, Centurion, Pretoria, Hatfield, Hartbeespoort, Broedestroom, Rustenburg, & Pilansberg. 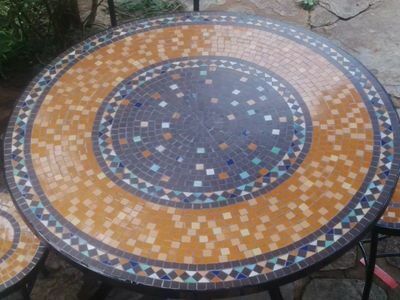 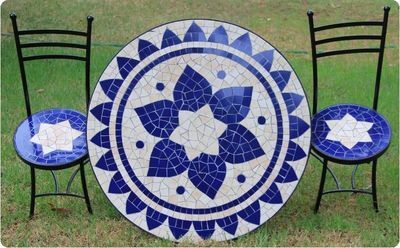 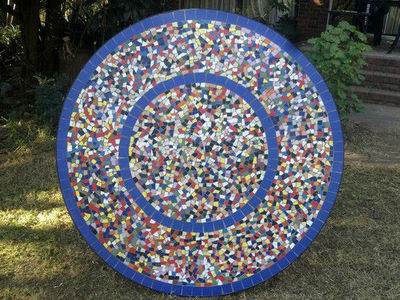 We also deliver mosaic furniture to Durban,Kwa Zulu Natal, Cape town, Constantia, Hout Bay, Paarl, Stellenbosch, Western Cape,Hermanus, George, Knysna. 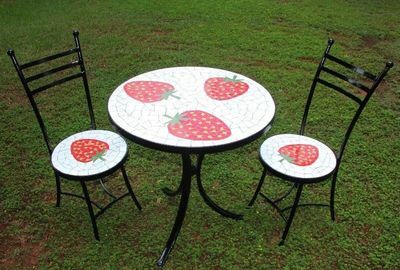 Our Mosaic Furniture may also be used indoors in your dining room, restaurant, cafe, or office. 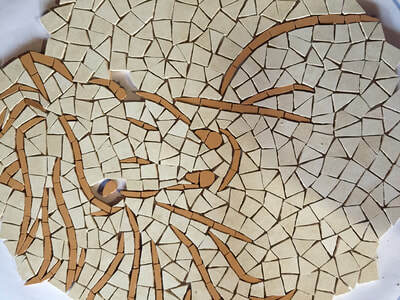 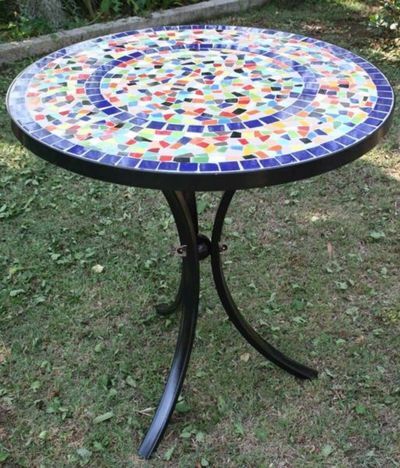 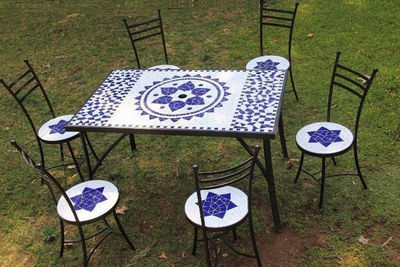 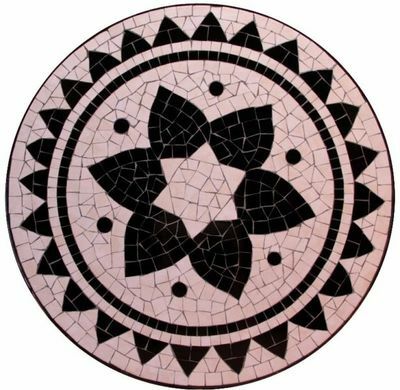 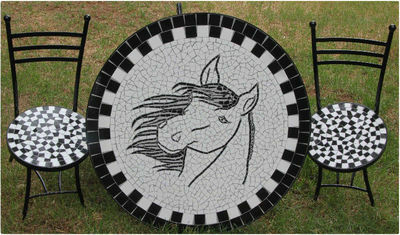 Just Mosaic offer a range of mosaic table sizes and shapes including Square, Rectangular, and circular mosaic tables. 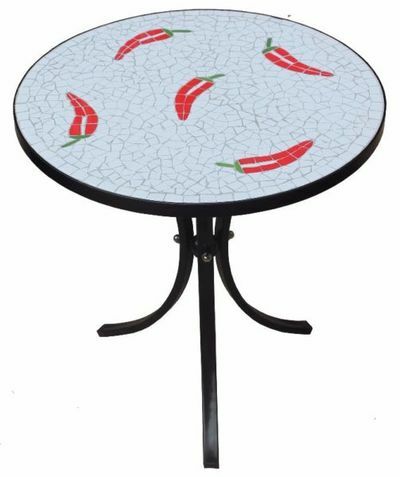 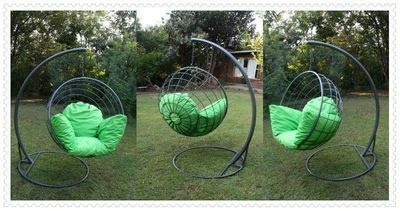 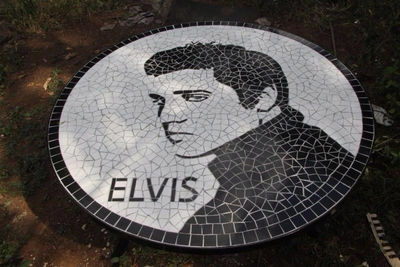 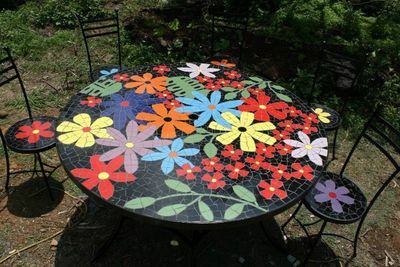 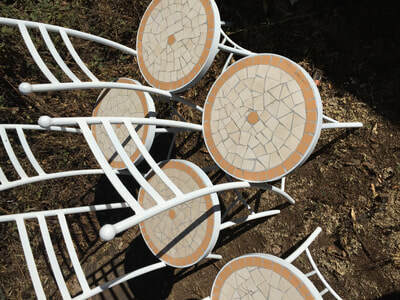 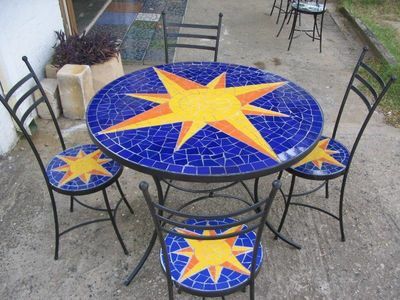 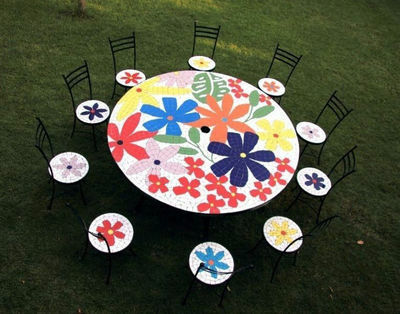 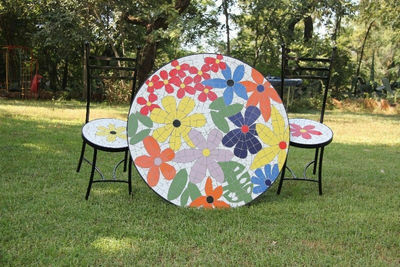 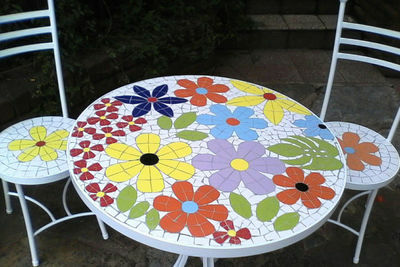 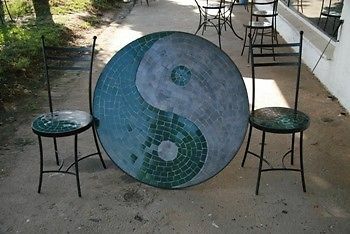 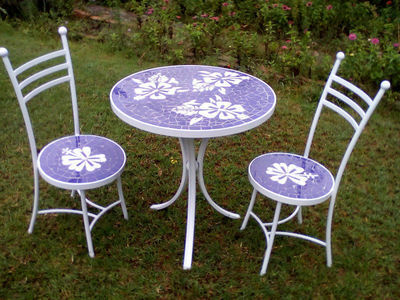 Just Mosaic also manufacture custom mosaic chairs for each mosaic table design. 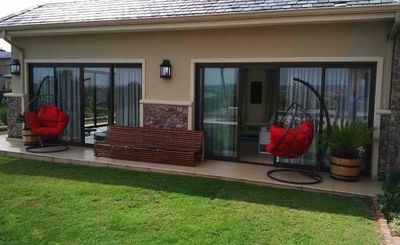 Please feel free to send us a mail in our contact us menu if you require additional information.